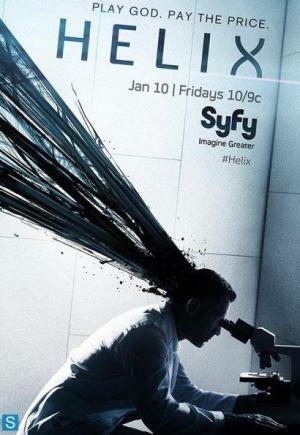 Rate "Helix (TV Series) (2014)"
TV Series (2014-2015). 2 Seasons. A team of scientists investigates a possible disease outbreak. "It’s a delicate balancing act [between science and thrills], but the two-episode premiere (...) dangle[s] enough DNA strands for a discerning audience to want to see where they might lead." "There's nothing all that original about 'Helix', but it works well enough. The script gets bogged down in soap opera suds from time to time, especially when it involves the love triangle."